All the available data points to the fact that both the current and future design of workplaces involves collaboration. We are stronger when we work in a community than when we work alone. Commitment does not have to be synonymous with long working days, or putting in a show for the sake of appearances; the best results are obtained in environments of trust. Goodbye to egos and fixed workplaces. Hello to sharing knowledge, new technology, teleworking, mixing together different generations with different viewpoints, to being aware of the importance of sustainability and wellbeing. The growth in the creation of coworking spaces in recent years has helped to consolidate this trend. According to a forecast by the company Emergent Research, which studies trends in the tech sector, the global number of coworking spaces is expected to reach 12,000 in 2018. This type of environment offers a benchmark for large corporations when it comes to implementing new design strategies for their work spaces, which can benefit from enhanced flexibility and interaction. One of the benefits associated with coworking and which can be applied to companies is the added flexibility. Many professionals are voicing their right to follow a work timetable that lets them optimise their creative productivity or performance. According to a study by Fast Company, only 30% of people prefer to work during normal office hours. Mark Dixon, Managing Director of Regus, says that: “The future of work should not be dictated by space or place, but by the individual and the tasks that he or she has to deliver”. Flexibility is also something that should be applied to the space itself, by designing environments that offer the possibility of a range of dynamics depending on the specific needs of each project. The ways in which inventors, musicians, scientists and many other creative people have worked throughout history shows that physical spaces have the ability to stimulate creativity. Everything around us influences our perception of the current moment, determines our capacity for concentration and conditions our mood. And companies are becoming aware of this. 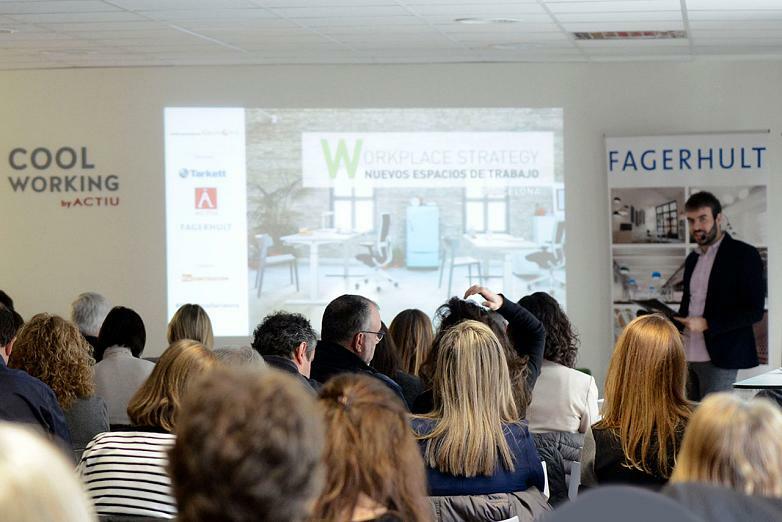 Workplace Strategy Barcelona provided an opportunity to share knowledge about this need to design spaces that generate an environment of trust, encourage collaborative work and favour a relaxed environment within companies. 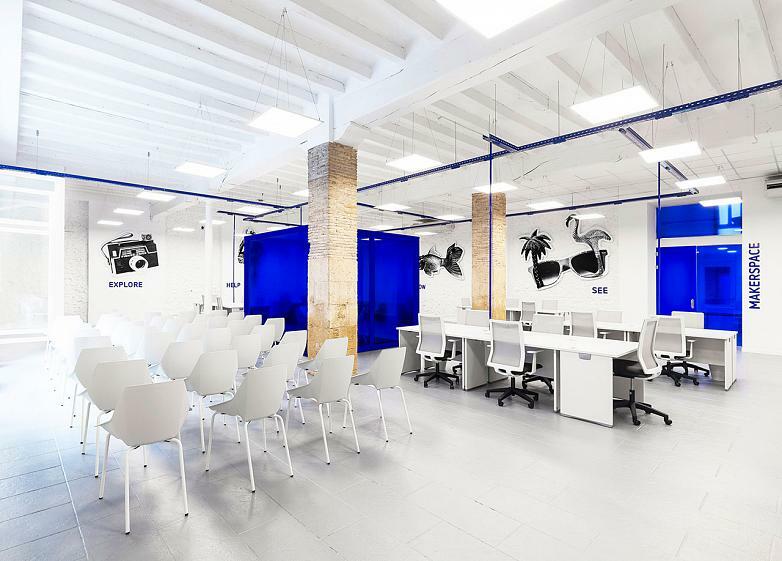 Organised by the Vía Group and held at the Actiu showroom in Barcelona, it offered a forum where experts with different professional profiles were able to deal with this subject from a range of viewpoints. In this regard, Beatriz De Latorre, Head of Workplace and Design at Savills – Aguirre Newman, commented that people are the main focus of attention when it comes to designing offices. De Latorre proposes working with tools such as one to one interviews, workshops, surveys and analyses on the frequency with which spaces are used before taking decisions. 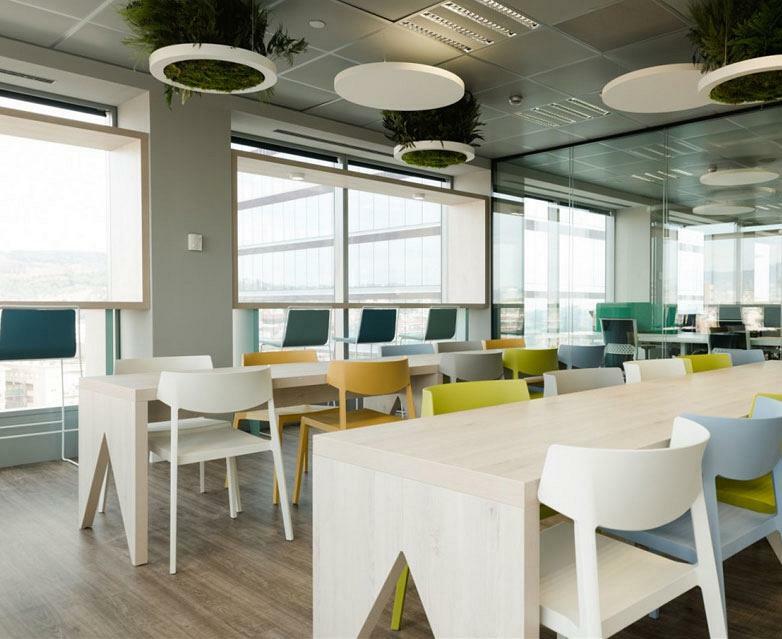 The Director of Zig Zag Soluciones Creativas, Adolfo Vicente, talks about the need to take a responsive approach when it comes to making changes and how, to encourage productivity, more open, flexible and dynamic spaces are being created. In his experience, this can be seen in the creation of new areas within offices, including: Brainstorming Areas to encourage the exchange of ideas, Thinking Rooms for concentration, Stand-Up Meeting Points (with tall tables) where meetings are faster, more dynamic and participative, Open Spaces with sound-absorbing materials and Gaming Rooms where people can relax. Jerónimo Martín from Alting Grupo Inmobiliario points out the need to design spaces that can accommodate different needs over time and to see them as a tool in and of themselves for attracting and retaining talent. The concept of the 'workplace' has changed ever since we have started thinking about work as an action rather than a place. And for an action to take place, it needs to be spurred on by an emotion. Creating spaces that generate positive emotions and a positive connection between users and their tasks, while helping them to develop their potential – this is the key to designing new organisations where people can contribute value, feel at ease and improve their productivity.